We have 6 Roller Team Zefiro 675's which were new in 2018, and from April 2019, we will have 4 new Roller Team Zefiro 690's. Both models are based on the Ford Transit which is renowned for its reliability and being easy to drive. 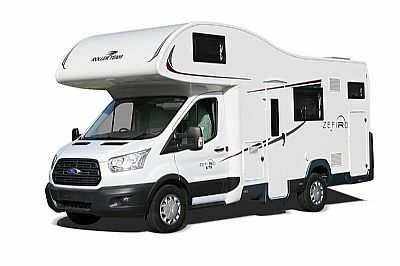 The Zefiro 675 is particularly well suited for families as it has 2 large bunk beds at the rear. 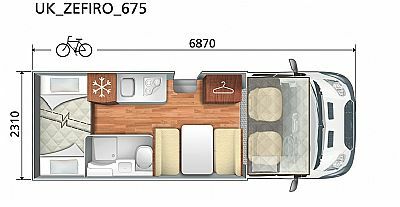 Zefiro 690 has a fixed double bed at the rear making it more suitable for couples. 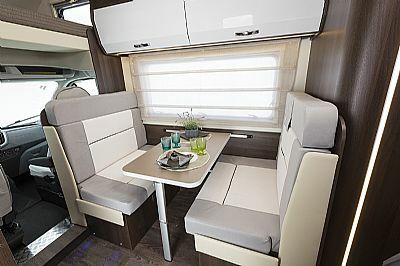 Both models have a large double berth over the cab, and the table folds down in to a dinette double when required. There are 4 travel seats and each model will accommodate 4 adults with ease. 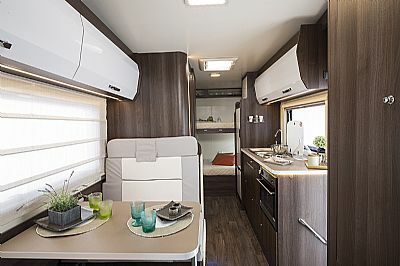 These motorhomes are large enough to be comfortable and yet small enough to be driven by anyone with a standard driving license. They can negotiate the single track roads in the Scottish Highlands with ease. 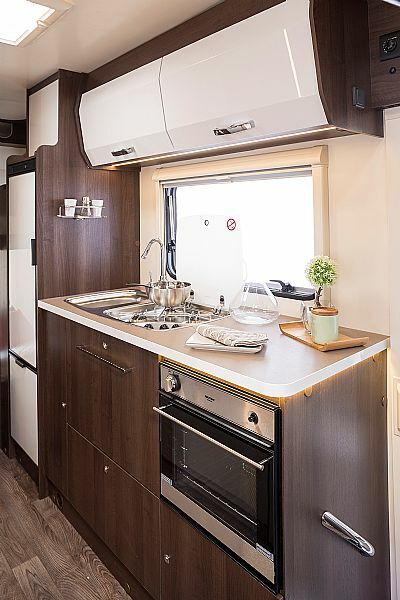 Our motorhomes are supplied with bedding, towels and standard crockery. There is a bike rack which can carry up to 4 bikes - 2 adult and 2 child. We can arrange bike hire from £15 per day including helmets and locks. 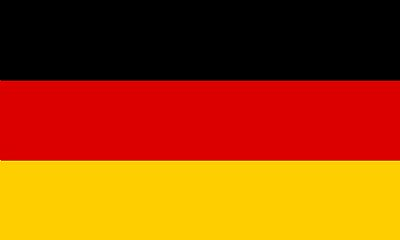 Please note: All images are from manufacturers stock and may show some differences to the hire vehicles.